Presentations and essays can take up a lot of time from your work schedule. Organizing, researching, and putting together an eye catching project are all stressful enough when it comes to college classes in general. One of the most stressful times for a college student is when the senior projects roll around. For the theatre seniors of Brevard, the presentation date is drawing closer. With only two days left until nine theatre major/minor students have to present, another big challenge is getting the word out for an audience to be present. 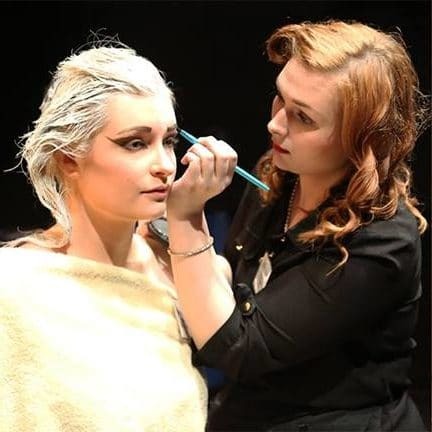 Seniors from the theatre program have made it one of the biggest graduating classes yet, and thus the projects had to be broken up into two different showings. This Friday, Jan. 25, 2019, three seniors will be presenting their hard work to those in attendance. Those presentations will be held in the Morrison Playhouse located in the Porter Center from 7 p.m. to 8:30 p.m. The next night, Saturday, Jan. 26, 2019, six other seniors will present their projects from 7 p.m. to roughly 9 p.m.
demonstrations. Derrick Hill is presenting three monologues, and Sarah Haga is presenting ascene with Brandon Smith. “In Act II, Sarah Haga and Derrick Hill will act in a one-act play that Sarah wrote co-starring junior Anthony Zuniga and sophomore Lisa Arrona,” Boccanfuso said. “For the Jan. 26 presentations; Katelyn DiDio will offer songs and monologues from around the world, Lance Perl will offer a sound demonstration, Teila Vochatzer will present on Scene Design, Ki’Ara Jordan will present selections from Detroit ’67, Caroline Vargas will offer makeup and prosthetic demonstrations, and Kendel James will produce and star in a wrestling match against Dal Davis,” Boccanfuso said. All of the seniors have been working for years to get to this point in their college careers, and with all major events for our Brevard family, students are encouraged to go out and support them.